Got a stripped screw head? Here is a useful tip to remove a stripped screw. Place a rubber band over the screw head and then use a screwdriver to remove the screw. 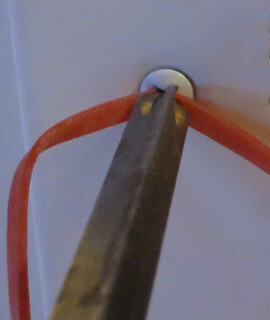 The rubber band allows you to remove those stubborn screws that maybe stripped out or otherwise tough to remove. This maybe handy also if your screwdriver tips are rounded. The rubber helps to give your tips more grip on the screw head.